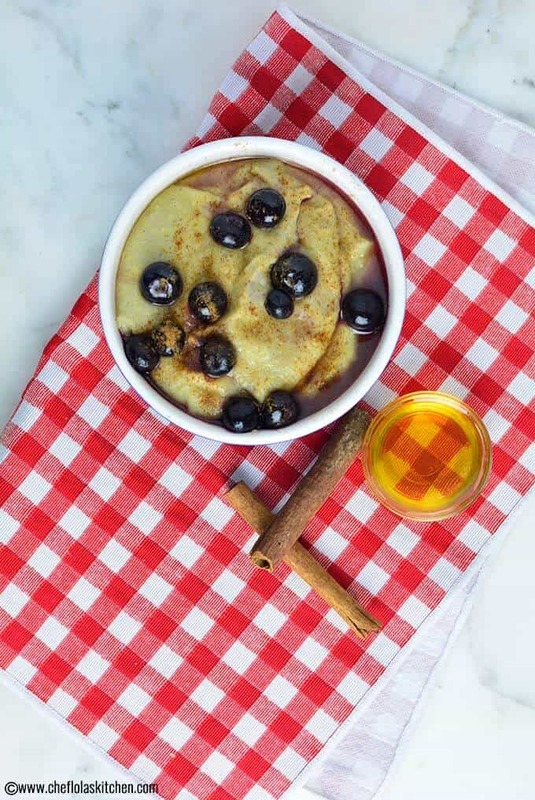 Cornmeal porridge is a simple yet elegant breakfast. 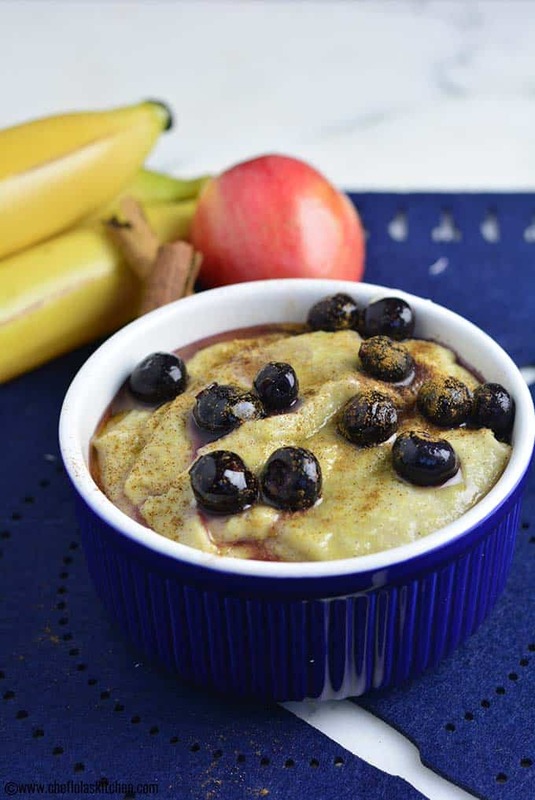 It’s a delicious, nutrient-rich, and satisfying breakfast for cold mornings. While it uses only a few ingredients, it has a rich flavor and a smooth, creamy texture. 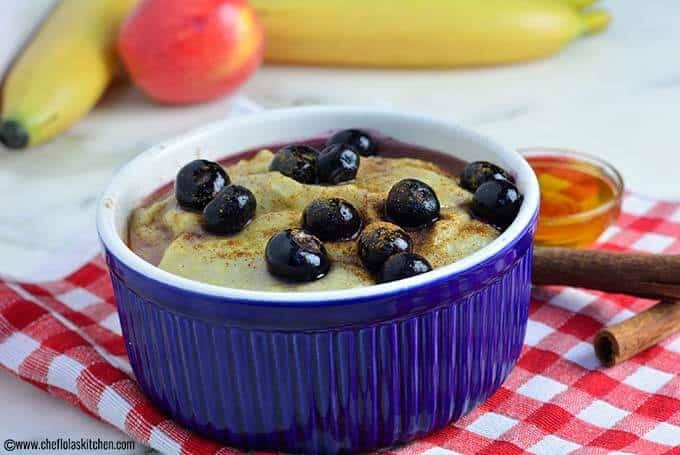 Cornmeal Porridge is a favorite Jamaican Breakfast. It is made with finely ground yellow cornmeal, honey for sweetness, Coconut Milk for richness, Nutmeg and cinnamon for feel-good flavor! It meets all the criteria of comfort food. It evokes feelings of nostalgia, it is simple to make, uses the most basic of ingredients (Cornmeal, milk, and Sweetener), and it tastes good. 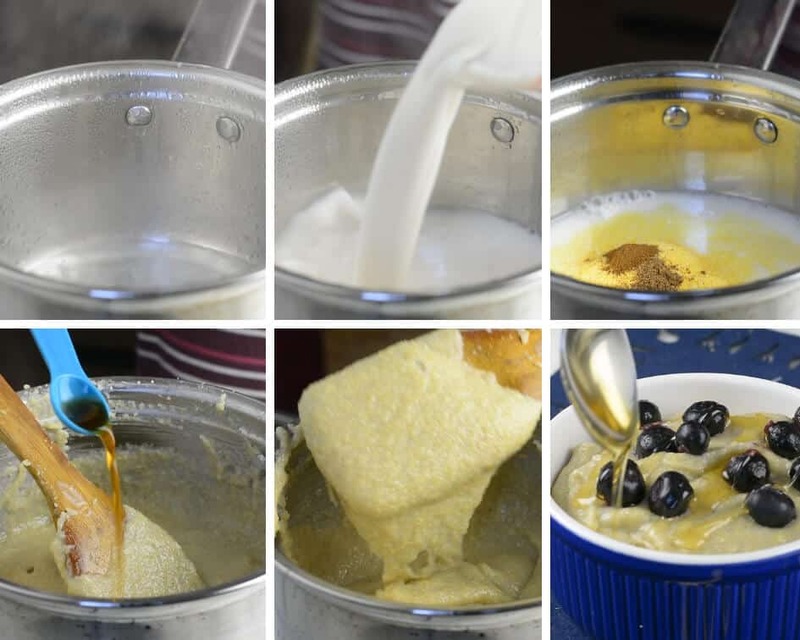 Although condensed milk is the basis for the authentic Jamaican cornmeal porridge. My preference is coconut milk in order to tone down on the sweetness and of course, the Calories!. The spices and flavorings add depth of flavor to the porridge so feel free to play around with your spices to know what suits you well. My choice of spices include Nutmeg and Cinnamon and I also used Vanilla as my flavor. However, you don’t have to limit yourself to these spices and flavorings. Feel free to use mace, Allspice, Cloves, or Cardamon and you can use flavorings such as rose water, orange, or lemon peel. From my experience, I discover that the hotter the water (or milk) the more the tendency of the porridge to get lumpy. what I do to prevent the lumps is to simply boil the water, and I add the Cold milk, that makes the mixture warm; Then I stir in my cornmeal immediately. This gives a smooth porridge. Pour some water in the saucepan, cover it up, place it on the stovetop and leave to come to a rolling boil. Once the water is boiled, add the Milk. Cover it up and cook for another 10 minutes, stirring occasionally to prevent burning. (If the porridge is still grainy at this point, feel free to add more water or Milk and cook for another 5 minutes or till soft. Once the Cornmeal has become thick, like mayonnaise, or to your taste, stir in the vanilla extract. My favorite way to enjoy this breakfast porridge is to garnish with fresh, frozen fruits or with a medley of fresh fruits. It’s also great with poached fruits or fruit sauce. Gentle heat and constant stirring help to prevent the much-dreaded lumps. Start stirring immediately you add the cornmeal to the water. When stirring it is important to reach the bottom, sides, and corners of the saucepan to prevent the porridge from sticking and scorching. Don’t be afraid to add more milk if your porridge appears too thick. Remember, the colder the porridge gets, the thicker, its consistency. If you are not eating immediately you may want to add a little extra water or milk. Cover the pot and leave the porridge to cook for about 10 minutes stirring occasionally to prevent the porridge from burning. 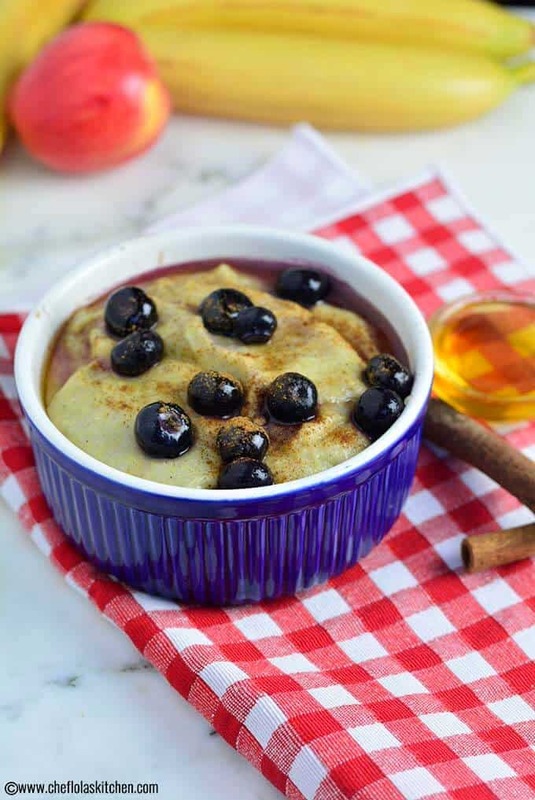 Sweeten with Honey and Serve hot. Gentle heat and constant stirring help to prevent the much-dreaded curdling. Start stirring immediately you add the cornmeal to the water. When stirring it is important to reach the bottom, sides, and corners of the saucepan to prevent the porridge from sticking and scorching. Don’t be afraid to add more milk if your porridge appears too thick Remember, the colder the porridge gets, the thicker, its consistency. If you are not eating immediately you may want to add a little extra milk. You can find me on Facebook, and Instagram … I love keeping in touch with all of you.